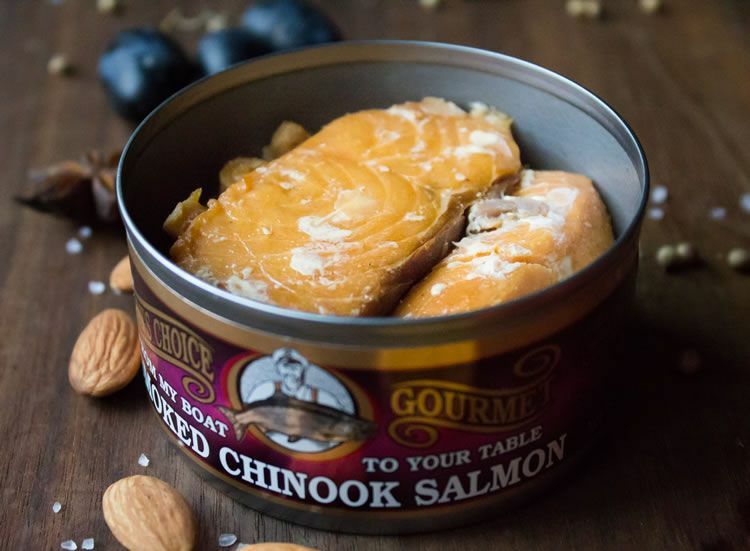 Chinook salmon is a top source of Omega 3 and salmon protein. It is also a good source of important minerals, including iodine, calcium, copper, iron, potassium, magnesium, phosphorous and sodium. Vitamins in salmon include A, D. B-6, and B-12. (Seafood Business). *Source: The Advanced Seafood Handbook. Seafood Business, Publisher, Rockland, MA, 1992. This is WILD ocean troll caught salmon caught at the peak of quality while feeding on a natural diet off Alaskan shores. Extra fancy packed in its own juices with no skin or bones. Other than 15 grains of salt, nothing is added. Cases are 24 cans. Half cases are 12 cans. 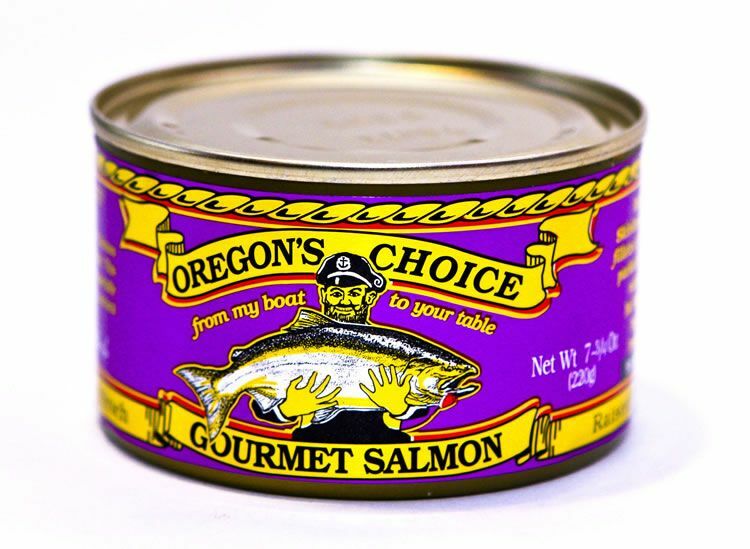 Royal Chinook Salmon Lightly Salted 7.5 oz.